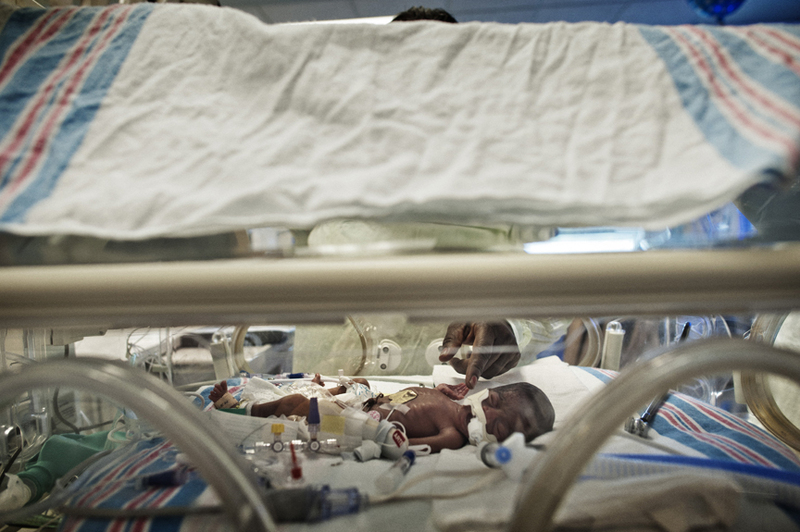 Terry Coates, touches her four day old grandchild, Tayden Coates, in the incubator in the in the Neo-natal Intensive care unit at the University Mississippi Medical College, September 30, 2012. Teara Coates, 21, delivered her son at 26 weeks, at one pound 12 ounces, and the the infant has been in the neo-natal ward since then. Teara is 21 years old, and has a five year old son in addition to this child. Mississippi has some of the highest rates of diabetes, obesity, infant mortality, AIDs, among other ailments, in the country, and though millions of federal funds have been thrown at the problems for years, conditions have only gotten worse.